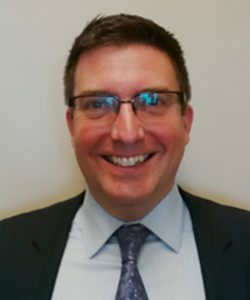 Michael Robertson is the Director of the Capacity Planning and Priorities Branch in the Strategic Policy and Planning Division of the Ontario Ministry of Health and Long Term Care. The Capacity Planning and Priorities Branch was established in July 2015, with a mandate to develop a framework for the delivery of future health care needs in Ontario. Previously the branch was the Ministry’s Transformation Secretariat and was responsible for the development of care co-ordination initiatives, of which the signature program was Health Links. The branch has also been tasked with the development and delivery of a dementia strategy which is mutually supportive of a dementia capacity plan. Previously, Michael was a senior policy advisor to former Deputy Minister Saäd Rafi, senior policy advisor in the Ministry of Infrastructure responsible for oversight of the provincial commitments to Waterfront Toronto, and a senior policy advisor on infrastructure to former Ontario Minister of Energy and Infrastructure, George Smitherman. Michael started his career as an Executive Assistant to a downtown Toronto City Councillor.